Featured #Bookstagrammer, Taylor aka @novelsandnailpolish! Today we have the perfect person to close out Bookstagram Month: Taylor Freeman, who blogs at Novels and Nail Polish and posts gorgeous photos of books (and bookish nail art) at @novelsandnailpolish. Hi! I'm Taylor. I work and play in Los Angeles, California, and I'm quite the connoisseur of YA books and nail designs! They're definitely my favorite to read and paint on my nails. When I'm not reading, I'm singing around the house or going to musicals. My filter of choice is Nashville, and I always edit my photos before putting them into IG with VSCO. I love the slight pink touch that combo gives pictures. Have fun with it, follow people who inspire you, and try to post every day! Well, one of the rules I live by at work is USE THEM! A lot of people are afraid to use more than one, but that's what they're there for. I also like to put only a couple very relevant ones in the actual caption, and put the remainder in a comment on the photo. I also love creating specific hashtags for various events or series of photos, such as #LABookwormTour for my bookish explorations around Los Angeles! Some of my favorites are #bookstagram, #vscobooks and #yalit. Is it cheating if I pick nail polish?? That's a given, so some other things I love taking photos of are flowers and anything gold & white! Multiple user platform, like Twitter! I work in social media, and it gets super annoying having to log in and out of accounts all day! I love @perpetualpageturner, @overflowingshelf and @alluringtales! Be sure to also follow Taylor on Facebook, Twitter, Tumblr, and Pinterest. Thanks to Taylor and all the bloggers who participated in Bookstagram Month! Featured #Bookstagrammer Jennifer, aka @TheRelentlessReader! 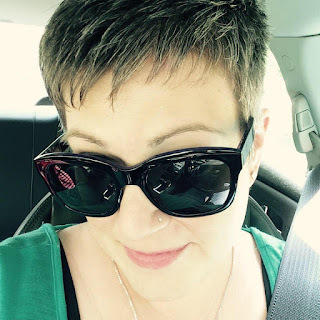 Please welcome Jennifer, who blogs regularly at The Relentless Reader and also lights up Instagram with awesome food and book pics as @therelentlessreader. Find out more about Jennifer and her IG pet peeves below! I live in a small town in Wisconsin and I work at a bookstore in an even smaller neighboring town. I have 3 kids, 1 husband, and an embarrassing number of cats. Outside of books my interests include cooking, cheering on the Green Bay Packers, and trying to wrangle my family for get-togethers. My one great ambition? I'd like to own a bookstore one day. 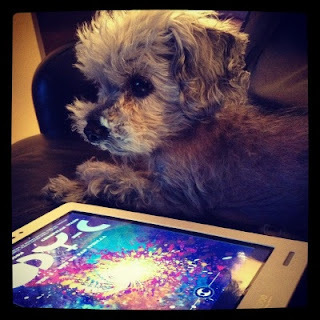 I was first prodded to join Instagram during Dewey's 24 Hour Readathon. I believe I've been on Instagram for a little over a year. Instagram, to me, is a happy place. There's not the kvetching of Twitter or negativity of Facebook. It's positive, it's bright, it's my happy place. And to be terribly cliched: A picture really can say a 1000 words. I'm a fan of the filters that add illumination and warmth. Valencia is a particular favorite. I'm also a fan of Juno and Rise. Poke around (the best way to learn), follow some bookish folks (to see what types of posts you like), take the time to frame a photo nicely. No one wants to see dirty laundry or dishes in the background. Some of my Instagram peeves are blurry photos, too many photos in a row, and excessive hashtag use. I use the usual suspects: #books #bookstagram #booklove, etc. My rule for hashtags is that I don't use more than 3 at a time. I like the uninterrupted flow of photos on my feed, when I have to scroll for an hour due to hashtags I become a smidge annoyed. Anyone who follows me will know my answer to this question. FOOD! I also share photos of my family and our cats. Thanks, Jennifer! For more fun, follow her on Instagram, Facebook, and Twitter. Today please welcome Beth Nolan-Conners, an eclectic reader who blogs at Beth's Book-Nook Blog. I wanted something to show that it was all about the books I enjoy. Since 2009. It started because so many family and friends asked me to recommend a good book that I was spending a lot of time sending the same emails. As a New Year's resolution I started a book blog. I will read just about anything, though I don't usually review erotica. My MO is to read and review, but if I don't like a book, I don't finish it; and if I don't finish it, I don't review it. So, my blog is a pretty positive view on things. I love historical fiction, regular fiction, YA, and mysteries. I will do biographies, Christian fiction, and self-help books. I love cookbooks. I try to find books that fit my moods and so I'm often reading 2 or 3 (or 4) books at once. I feel that I should respond to every single request I get, even if it's just to say "no thank you". I get a lot of requests, but I think that is just common courtesy. I noticed that To Kill a Mockingbird is back on the bestseller list. That is probably my favorite book ever. To Set a Watchman is coming out in July, so I am guessing that this has brought a buzz to TKAM. If that makes more people read or reread that book, then great! Wait- writing IN books?? Like notes?? Um - no. Sticky notes if needed but I don't allow pages to get bent or dirtied or covers to get bent. People love to borrow my books because they always looks brand new (and if they return them bent up I "generously" let them keep them). I love to lie on the couch or lie in bed. When my husband travels I sleep with my Kindle in the bed with me. No kidding. While I am all for indies (I have a love affair with The Concord Bookshop), I will say that Amazon has provided a service of making books available to folks that might not have access to a bookstore or couldn't afford a list price for a book. I'm all for that. And I have lots more in other rooms! How to be more creative with my blog (always a challenge). I recently gave kudos to The Goldfinch and several friends said they hated it. DNF - life is too short for bad books. I thought they did a good job with The Hunger Games. Thank you for joining us today, Beth! Remember to check out 's blog, Beth's Book-Nook Blog, and leave a comment or question. Our featured #Bookstagrammer today is Memory, also known by her Instagram handle @Xicanti, and accompanied here by her wee poodle, Murchie. When not Instragramming, Memory blogs about books and food at In the Forest of Stories. Take it away, Memory! I'm Memory, an avid reader of most things and a particular fan of SFF. I live with a tiny poodle named Murchie, who stands opposed to my Ultimate Life Goal, which is to pet every dog ever. He's much more supportive when it comes to my ongoing quest to eat all the tacos, though he does wish I'd share the spoils a little more often. I first heard of Instagram through Kelly of The Written World. It looked like a lot of fun, so I signed up as soon as I acquired my first mobile device with a camera. I think that was around three years ago, but I'm bad with time. 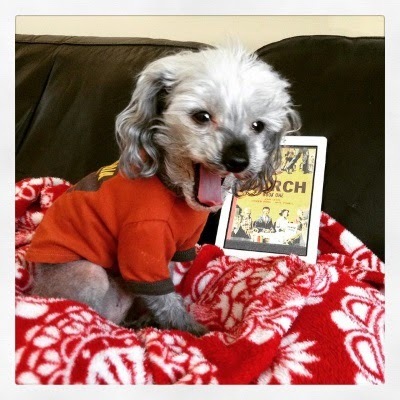 IG started as a way for me to share pictures of my dog, Murchie, and my feed quickly expanded to include shots of my current reads, places I'd wandered to on my walks, and whatever I was eating. Around a year ago, I decided to combine the Murchie photos with the book photos; thus was my Murchie Plus Books series born. 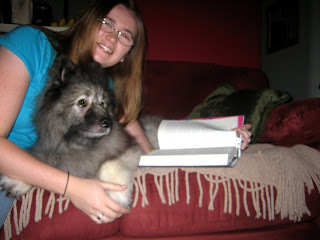 I tag all my bookish pictures with #murchieplusbooks. When Murchie and I are apart and I've got to use a stand-in (usually someone else's pet, but sometimes one of my Funko Pop! bobbleheads) , I add #specialgueststar[stand-in's name]. Right now, I've also been tagging all my food pics so people observing Ramadan can filter them out if they deem it necessary. And I always tag my taco pics with #tacowatch2k15, which started as a joke on Twitter and has now become an actual thing. Foooooooooood. Whenever I end up with a remotely photogenic meal, I Instagram it. Tacos have a particularly large presence on my feed on account of Ultimate Life Goal #2. Meh on my own account. 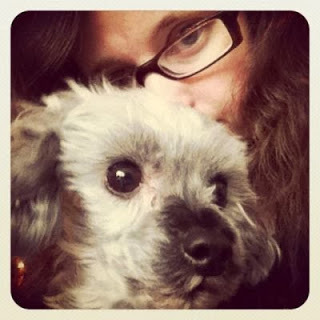 I've taken maybe five selfies in my entire life, and at least two of those were alongside Murchie. I'm not a photogenic person. I do enjoy other peoples' selfies, though. Surely anyone who stumbled across my feed would think I like dogs and comics and things one can eat. This is entirely accurate. Every Sunday, I do a round-up of all my Murchie Plus Books posts from the previous week. I include descriptive alt tags for my vision-impaired readers, and I add some additional commentary on the books and on anything cute or quirky Murchie may have done during the photo session. A small grey poodle, Murchie, sits on a fuzzy red and white blanket. He wears an orange t-shirt and has his mouth stretched wide open. Behind him is a white Kobo with the cover of John Lewis's March, Book One on its screen. Murchie stands on a patch of green grass, his ears perked. 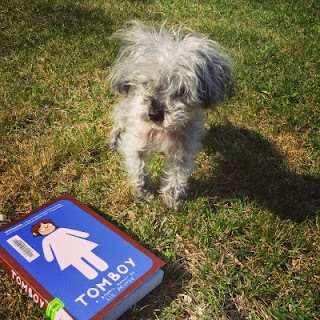 Slightly in front of him is a trade paperback copy of Tomboy by Liz Prince. Murchie lays on a concrete step, his paws stretched out before him. He wears an orange t-shirt with brown trim. 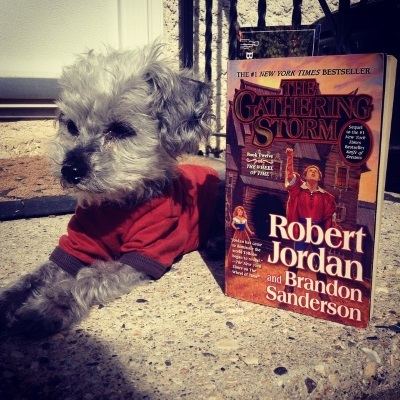 Beside him is a paperback copy of The Gathering Storm by Robert Jordan and Brandon Sanderson. Murchie lays on a black couch. Beside him is a white Kobo with the cover of Matt Fraction and Christian Ward's Ody-C on its screen. If you want more cute poodle pics, be sure to follow Memory's Instagram account. You can also connect with her on Twitter. Today we have Serena Agusto-Cox, aka @SAgustoCox on Instagram. Although a veteran book blogger at Savvy Verse and Wit and the owner of Poetic Book Tours, Serena only joined Instagram recently. What does she think of the platform? Read on to find out! 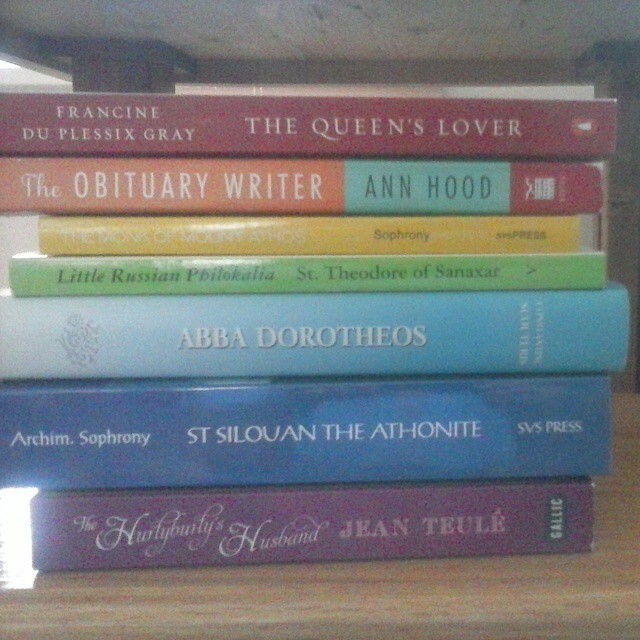 I read a wide variety of books, though most readers know I love poetry. I work from home in a position that allows me to telecommute and take care of my 4-yr-old daughter. I love taking photos, scrapbooking (though I haven't done much of that, and talking books. I have one dog, Sonia, she's a rescue husky mix (with what we don't know), and she's really the family dog. My ambition is to not only get Poetic Book Tours of the ground and profitable, but also to finish my own poetry collection and get it published. I just started in February 2015. I saw that a bunch of other book bloggers were on Instagram. Everyone said they loved it, so I decided I'd try it out since I could post about books through my favorite hobby, photography. I love the instant nature of it and the photos. What is there not to love. No. I like them all. But I also haven't played with them much. Tips, boy I don't really have any. But if you have tips for me, I'd gladly take them. #foodporn is one of my favorites. I love taking pictures and posting them of the food we eat at home and out. That the people I follow don't post that much or at least as much as I seem to. Maybe that's because I'm relatively new to it. 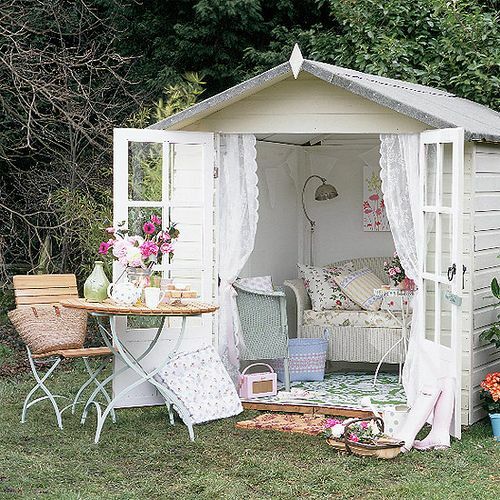 That I love my daughter, my garden, and books; that's a far cry from 1,000 words. Make sure you have good lighting so people can see the title and cover clearly. But make sure that the light is not directly above the cover when you are taking a picture because you'll either have a glare or see your own shadow. Instagram automatically posts to the Facebook page of Savvy Verse & Wit. That makes it easy for me. All my lovely ladies @fran_1616 @sarahmmccoy @erikarobuck and Anna who needs Instagram! Thanks, Serena! 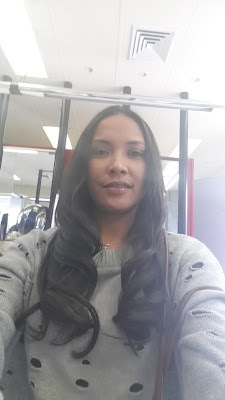 Be sure to follow Serena on Instagram and her blog, and check her out on Twitter @SavvyVerseWit and Facebook. 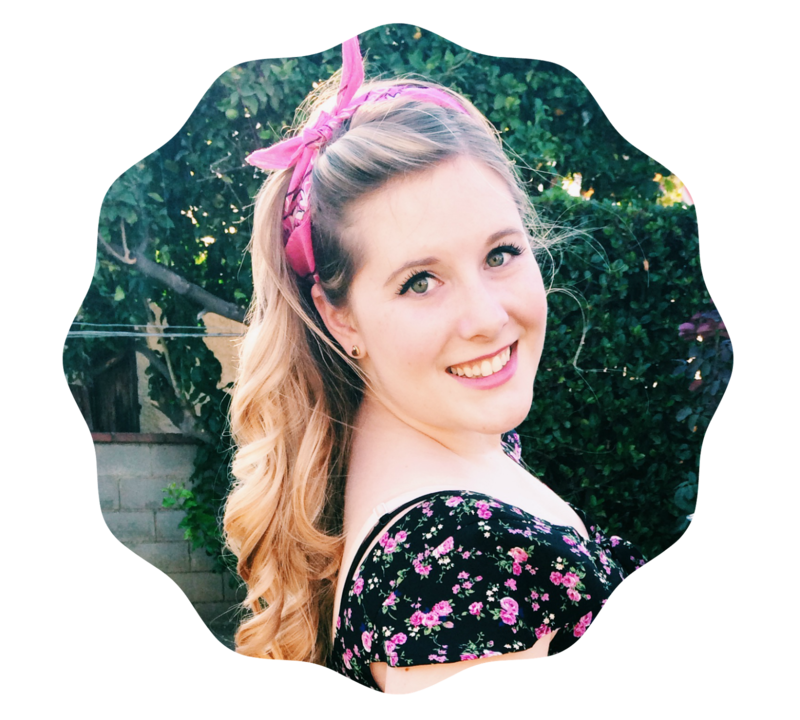 Today please welcome Angelica, who blogs about young adult novels and chick lit at Paperback Princess. I've been told that I'm a bit high-maintenance and princess-y and because I am always with a book whether it's on my phone, ereader or a printed copy, they thought it'd be perfect....I had a shortlist then enlisted my Facebook friends to help me choose which was the best. I cannot articulate enough how much I love the YA-genre. Prior to Twilight it was hard pressed to find fantastic YA novels but since then our shelves have been bombarded with GREAT YA Authors and stories and I love, love, love it! In YA there are no rules, it doesn't have to be realistic, the characters do not have to be mature, they can be sullen but still great, they can be bratty but still emerge at the end as a hero, I think that's what I love about YA, no rules. Definitely keeping up with the Joneses so to speak. There are so many fantastic blogs out there who have fabulous content and seems to be reviewing all the soon to be released popular books and I sometimes get caught up in the whirlwind on trying to keep up. The best way to deal with this pressure is to be true to yourself. Be reasonable with your personal expectation of yourself and your blog. Being organised also helps. I got a Blog Planner which helps me see what posts are scheduled for which days, so if I do a review I can see the best spot to slot it in. You don't need to beat the best, you only need to be the best you can be. Definitely not. I only excuse this for Author Signing. but unfortunately I am not that lucky. I read where I can, the bus, the train, my study, in bed, at stoplights...ok I'm kidding about the last one (kinda). I love beautiful covers, I most especially love the covers with beautiful dresses featured on it like The Selection Series by Kiera Cass. I used to persevere when reading a book, but since becoming a book blogger I have changed my stance on this. I now DNF as there are just so many fantastic books out there that I don't want to waste my time forcing myself to read ones I can't get into when I can spend that time reading another book that won't be so torturous to read. Definitely Warner Bros London so I can see the Harry Potter Studio. I'd love to taste a Butterbeer and shop at Diagon Alley. Shopping, makeup, scrapbooking watching movies and TV series' and spending time with my loved ones. Whilst I'd love to see my fave books on the big screen, most often than not it's really disappointing as the movie doesn't capture the story as well as the book, but one exception was the Harry Potter series. I also enjoyed watching The Hunger Games, Vampire Academy, Divergent and City of Bones, but they certainly wasn't anywhere as good as the books. Thank you for joining us today, Angelica! Remember to check out Angelica's blog, Paperback Princess, and leave a comment or question. 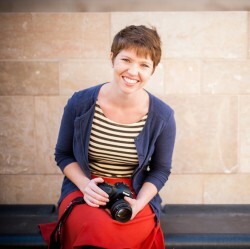 Give a warm welcome to Abbigail Kriebs, author, photographer, blogger, and bibliophile! You can find Abbigail on Instagram as @abbigailkriebs. Hi, I'm Abbigail. I'm a Midwestern gal who somehow became a city-dweller in Madison, WI. My day job is in advertising & marketing, but in my spare time you can find me at Inkwells & Images, writing about books, photography, and writing. I love literary fiction - recent swoons include Sea Creatures by Susanna Daniel & The Night Circus by Erin Morgenstern. I also love a good love story, anything where the Midwest is a major character, and I admit that every now and again I just want to be entertained. I have a husband and he has two cats, so I guess that means I also have two cats: Zipper and Thumper. Great ambition? I'm slowly, slooooowly writing my first novel. But sometimes, my big ambition is to spend time outside while the sun is still shining. Having a desk job can create some funky ambitious cravings. I don't blog primarily on IG - I often share photos related to blog posts, or that fill in the gaps between posts on my site. Often, I find IG is the perfect place to spell out a lyrical thought that just doesn't need to be longer than a sentence or two. I started posting on IG in 2013, sharing photos and not realizing then that it would become my favorite platform and where I get so many book and restaurant recommendations. I love that it's quick. And also that it seems to be a collection of the most beautiful images on the web. Scrolling through my feed is a relaxing, enjoyably task - not something that has to be done or that clutters my life. I adore "crema" - as a photographer, this one feels the closest to capturing light on film. And it also reminds me of coffee, which is kind of a win-win for this coffee-sipping gal. Do it! It's lovely, first. Second: it's a wonderful place to meet people. Make sure to not only use hashtags but to click on those hashtags and connect with others. I've made actual, in real life friends doing this - and I'm not a super user or anything like that. Third: don't auto-post all your Instagrams to your other social platforms. From a marketing standpoint, you should treat each platform uniquely and tailor your content its own attributes. If I follow someone on multiple platforms and see the same content over and over again in both places, I will likely unfollow them on one of the platforms. There needs to be an incentive to connect online in multiple places, or we are merely just adding to the internet clutter. I like to capitalize the words in my hashtags to make them a little easier to follow. This doesn't always happen, of course. Food & travel. I love capturing the simple moments of life - my cats chirping at birds, the ice collecting on the windows in January. The little memories that you would otherwise miss while on vacation. How much I would enjoy following absolute strangers! I'm stalking what they read, watching them raise their children, and even stealing destination ideas from people around the world that I have never and may never meet - and it all feels so personal. My dining room table. It's a lovely wood grain cut on the diagonal that my husband made, and it makes the perfect backdrop for all sorts of things: fancy cups of coffee, new books, chocolate malted milkshakes. It adds enough interest to be beautiful, but not so much that it distracts from the subject of the photo. I am worst selfie taker. I have tried and tried, and they just never turn out. I'm going to blame it on the fact that I am only 5'1" tall, so maybe my arms just aren't long enough to take flattering photos?!? quiet country spaces, food, books, baked goods (more food), coffee, stickers, and writing (and more coffee). I make my picture-taking self proud. So yes - I think my feed accurately described my life, then and now. Choose neat backgrounds! Don't always opt for the sky or your lap: look for neat textures, or places that complement the subject of the book. I recently bought two memoirs, both dealing with life spent on farms. The perfect backdrop? Fresh green grass, of course! I sometimes wish that hyperlinks worked on the platform - I know they're not working keeps it less cluttered with ads, but at the same time it would be nice to click through to a longer article when a post necessitated it. Yes and no. I often post a preview image on IG and then direct people to my blog. Otherwise, I'll use similar hashtags, or end up using photos that I took on Instagram to feature in blogs later on. @BenjaminHole runs a family farm on the Isle of Purbeck, England, and his photos are phenomenal. @JoshuaHaroldson is a freelance photographer in the Midwest and his Instagrams are always stunning. @AustinKleon, author & artist, posts blackout poems everyday, and also has book recommendations that are always worth taking. Best way to soothe the ache of a recently tortured pair of eyebrows? A walk down the street to the local bookstore. Excited to dive into these rural-life inspired gems, one by Madison local @graciefoxwell and her dad, the other by the perennially witty @sneezingcow. Date night footwear in #Wisconsin. Thanks for sharing your tips and pics, Abbigail! Be sure to check Abbigail out on Instagram, as well as Twitter @abbigailkriebs. Announcing the Book Bloggers International Community Newsletter! Do you ever think you might be missing out on awesome giveaways, posts, events, and bloggers? Now you don't have to! Starting this month, the BBI team is sending out a newsletter where we compile the best of the bookternet, just for you. What's in this shiny new newsletter? How often will y'all be emailing me? Once a month. That's it! Get awesome book blogger goodness in your mailbox every month, automagically! Nope, just interested in awesome links and giveaways!